Valentine’s is just right around the corner! I can feel the love in the air, can’t you??? 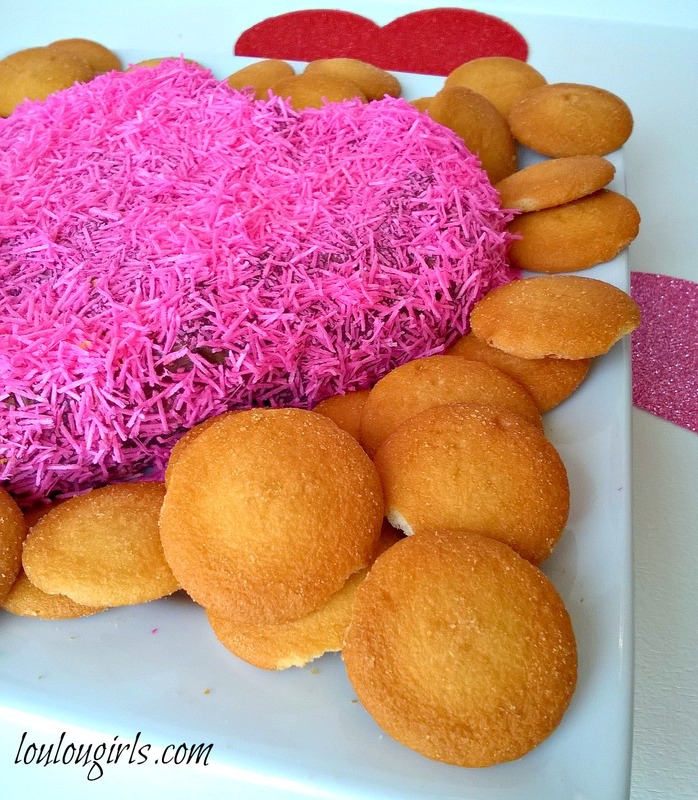 The truth is, I’m trying to do my regular routine and looking for fun and easy ways to make Valentine’s special for my family! I’m all about the easy things that look like you spent a lot of time preparing. My Lisa absolutely loves chocolate! When she get a shake it’s always double chocolate and she is in heaven! 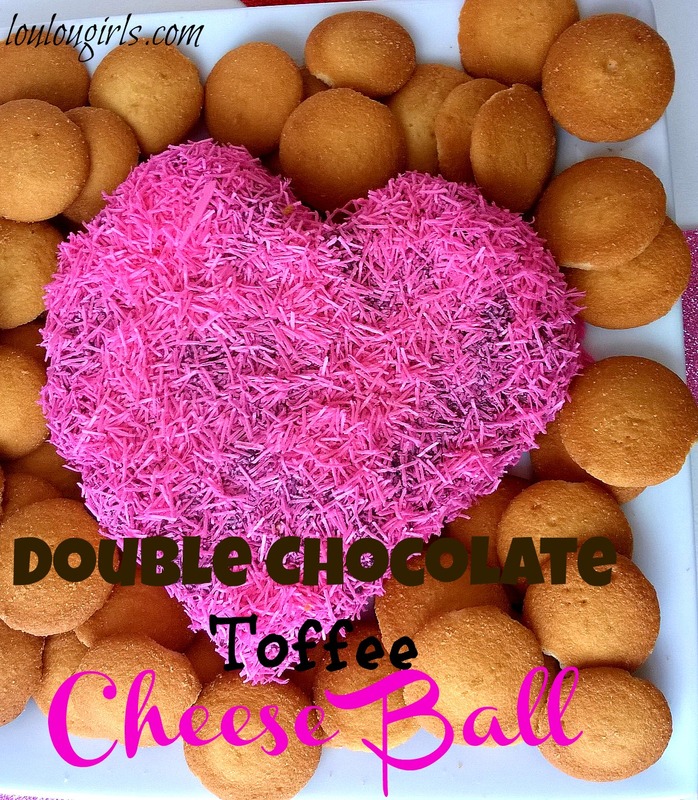 If you LOVE chocolate, you will LOVE this! I sat this on the counter and it was gone in no time! Super cute and easy! In a large bowl, cream together the cream cheese and butter, about 3 minutes. Add the cake mix, and both sugars and beat until completely blended. Criss cross pieces of plastic wrap onto the counter top. Place the mixture in the middle and wrap it up tightly and refrigerate for 1 to 2 hours. 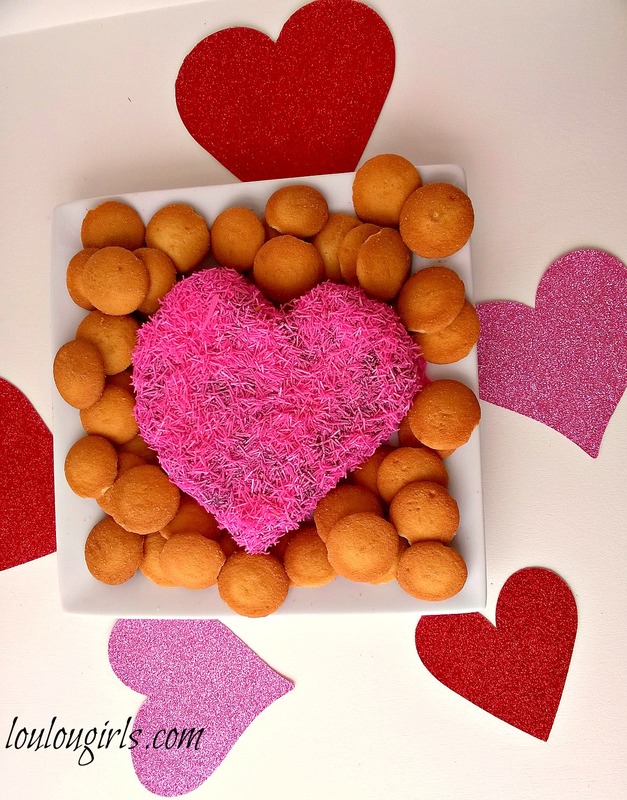 If you want, take the ball and place it on a serving tray and shape it into a heart and then cover with your favorite sprinkles! Your Cheese Ball looks awesome! Thank you so much for sharing with us for our 5th Anniversary of Full Plate Thursday! Hope you have a fantastic week and hope to see you again real soon! What a sweet treat!! I love the toffee chips! Thanks for sharing on My 2 Favorite Things on Thursday – Link Party! Hope to see you again tomorrow! Pinned! What a pretty and tasty treat for Valentine's Day. Pinned and Tweeted. Thanks for sharing at Snickerdoodle Sunday. This look so amazing. Now I am drooling.Thank you for sharing at the Thursday Favorite Things blog hop. Your post has been pinned! Looks delicious and colorful, thanks for sharing with Hearth and soul blog hop, pinning. I've never had a cheese ball before (shocking I know) but this sounds delicious. Thanks for sharing at the Tips and Tricks Link Party. What a great Cheese Ball and so pretty! Hope you had a great Valentine Weekend and thanks so much for sharing with Full Plate Thursday.